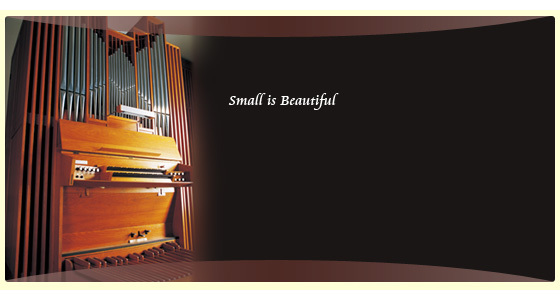 The University of Tokyo announces that it is the proud owner of a small but active pipe organ. This is the result of an unparalleled act of generosity on the part of Dr. Taikichiro Mori (the founder and first president of the MORI Building Company) who in 1977 donated it to the university. The organ is situated in　building 900 (the auditorium), half hidden by the green trees of the Komaba Campus. Since its donation, it has been in regular use, in numerous free concerts bringing pleasure not only to students and staff of the University but also to many inhabitants of the neighboring areas.